Unfortunately, many people living with an ostomy struggle to maintain healthy skin around their stoma. At Ostoform, we studied this problem in detail, taking a user-centred approach. We used our experience in product design and material engineering to find an effective solution to this age-old issue. The result is the OstoformTM Mouldable Seal with FLOWASSISTTM Protection. At OstoformTM, we studied this problem in detail, taking a user-centred approach. We used our experience in product design and material engineering to find an effective solution to this age-old issue. 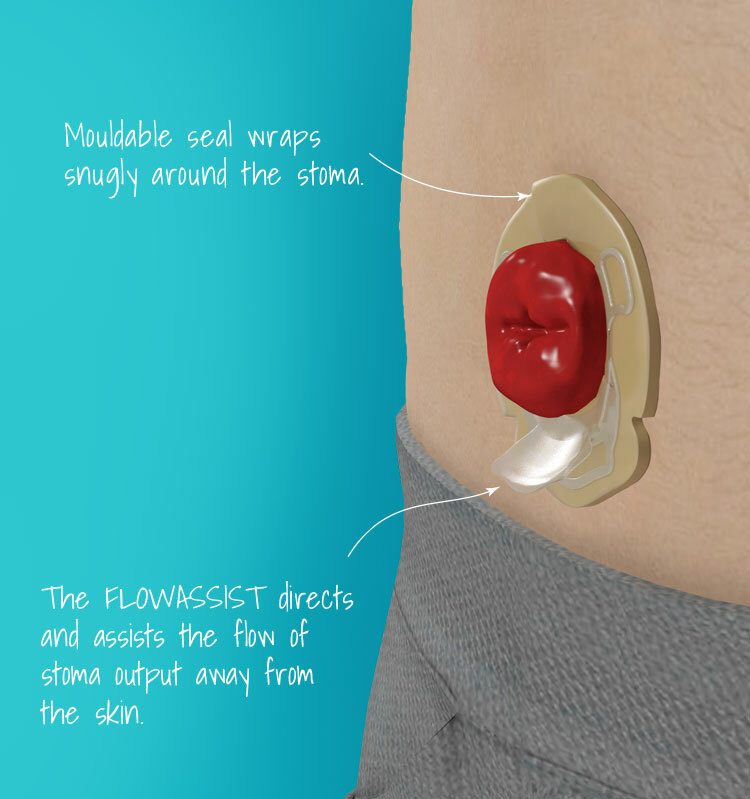 Unlike conventional seals, the enhanced OstoformTM design assists the flow of the stoma output away from the skin and more directly into the ostomy appliance. Consequently skin is better protected and if already damaged, heals quicker and more effectively. Unlike conventional seals, the enhanced Ostoform™ design assists the flow of the stoma output away from the skin and more directly into the ostomy appliance. Consequently skin is better protected and if already damaged, heals quicker and more effectively.